It's hump day…are you feeling it in your bones. We finally have the weekend to look forward to! I'm still on my thank you card kick. And that's what I am featuring today. One of our family members sent us Harry and David Pears for Christmas. Oh yum…what a great gift! So here is the thank you card! 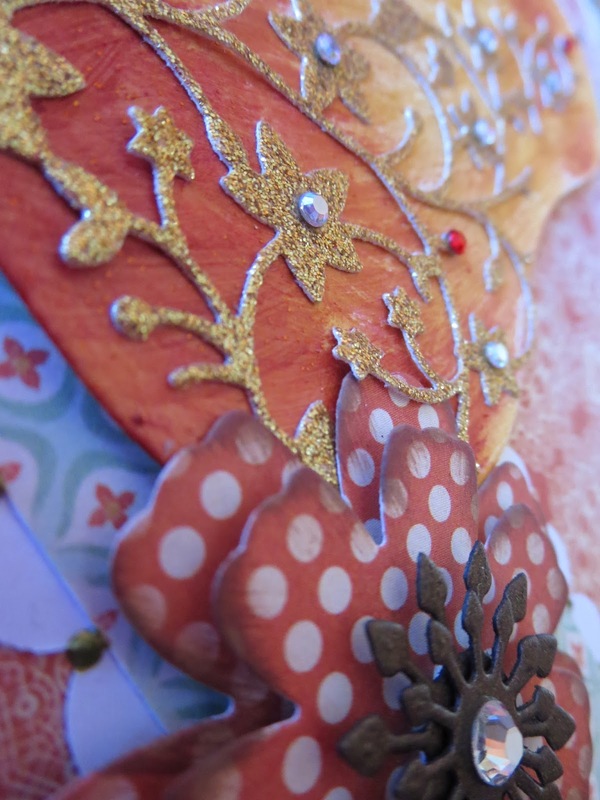 Although the card is not done justice on the photo, I wanted to talk about this fabulous paint I used. It is Art Anthology. I picked it up in New Mexico this past summer and this is the first time I've used it. 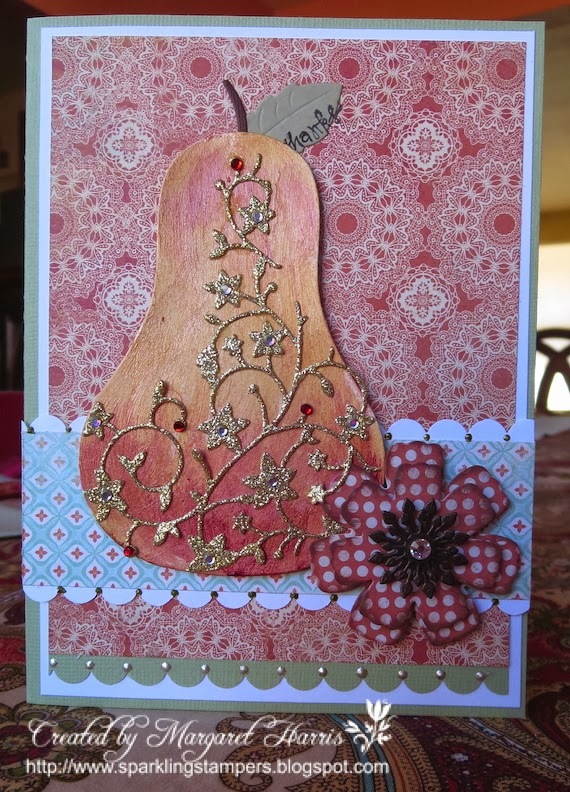 I used both gold and red to paint and blend the pear. As you can see from the closeup, it is shimmery and sparkly and rather on the thick side. It is so much fun! Now I want to play around doing this technique with some of the Memory Box ornaments for next year.